What Does Keith Koffler Eat For Breakfast? This is a good question. Being that breakfast, arguably, is the most important meal of the day and the saying goes, “You are what you eat,” I’d like to know what Koffler ingests each morning. This man surely has some balls. He probably has a private chef that prepares him iced coffee, an oat bran/fruit medley parfait infused with whitey privilege hormones, a slice of whole multi-grain toast, and a slab of beef served rare. 1. Re-defined what we the people should expect from a White House reporter. We expect the reporting of significant facts or even the spin and skewed slant a veteran reported should provide on newsworthy stories. Being that gutter-ball reporting is now commonplace, the White House Dossier has complied with such standards and made non-issues an issue. Example: Previous First Ladies wore St. John’s knits like we change undergarments; because Michelle Obama is more fashionable than any First Lady we’ve seen in quite some time, along the likes of Jackie O., her consumption choices are questioned, handbag and all. It’s hard to just view the First Lady and smile when her expensive handbag is affixed to black arms/hands. Prominent black leaders — fearing Obama is not only taking them for granted but avoiding them in public — have turned up the heat on the nation’s first African-American president, transforming all-in-the-family concerns into open criticism of the president . . .
Nuff said on this one. I definitely have a firm resolve concerning Pastor Tims and the type of preacher he represents: the man who loves God and does all that he can for people to improve their lives. “The man” is where the murky area lies. Regardless of one’s religious convictions or beliefs, at some point, we have to decide what is good. I do not have the power to, or would even be willing to toss Tims or anyone like him to the dogs; some people do have a conscience but don’t realize how their decisions will affect them until it is too late. God’s grace is sufficent to cover any one of us, even at the last minute. Is it possible to be a “good man” when you are unfaithful and dishonor your wife even in public? Is it possible to be a “good man” when your decisions make your children fatherless? Is it possible to be a “good man” because you have done so many great things for every one but the ones whose lives rely upon your “goodness” the most? Does a “good man” direct donation money to support a drug addiction? Does a “good man” pay for hotels and flings to accompany him with church money? Can a man be a “great man(d) of God” if he’s not even a “good man”? Does the crackhead who steals from his family but helps an old lady across the street become a poor soul who is a good person? Are we allowed to really draw the line between good people and not so good people anymore? Do the concepts of CHARACTER, INTEGRITY, ETHICS, RESPONSIBILITY, RELIABILITY, THOUGHTFULNESS, AND CONSIDERATION for people other than oneself mean anything? Nice people do not necessarily translate into good people. Good people often have to do things that are not nice. What a man does, speaks much louder to what is really in his heart, than mere words. The sum total of one’s acts does not outweigh or define the essence of a man’s character. Good will and good intentions can kill in the absence of good character. God certainly uses people who have not always been good. But, I haven’t seen one instance where God used people who did not turn away from their non-goodness to become more like God. The admirable thing about Zachery is that even in all of his struggles, he had enough faith to try and help others. Ultimately, there is no point in representing a Christ who cannot give us the power to live a good life, especially when we plaster our faces on signs as leaders qualified to show you the way. ZTims is not isolated in this troubled preacher identity. We do not need ANOTHER man, who cannot live a good life, to feel more for people than to seek care for his own life. The Kingdom of God is not a crutch for preachers’ issues and does not belong to preachers. Preachers, SIT DOWN. TAKE A SEAT. You are not that important to the world. No, you are not. God can use anyone else to do what you do. Go somewhere and sit down until you can be restored. No one can blame “the church” for a man’s destructive choices. Ask every drug addict who now lives in victory. We are not going to gloss over mess and memorialize it as something good to make people feel good. We have too much in Christ to continue in sin, and think church leaders should live just like men who do not KNOW God. If there need not be any moral distinction and culpability for the kinds of ills that one man’s life exudes to become a plague in other people’s lives, and lead without adherence to the standard of what is good and right, then we owe Bin Laden an apology. Chestnut Hill College adjunct professor Rudolf Alexandrov committed suicide on August 3, 2011. Reputedly, according to Chestnuthilllocal.com the 71-year-old professor jumped approximately 30 feet to his death on campus inside of St. Joseph’s Hall. The tragic death was observed by some of his colleagues. Although there have been mixed reports surrounding the details of Alexandrov’s suicide, Chestnut College has issued a statement clarifying the events of August 3. My prayers are for the entire university administration, faculty, staff, students and Professor Alexandrov’s wife, family and friends. Sometimes life becomes overwhelming and it is always a tragedy when one finds death as the only resolve. I attended a pre-screening of DreamWorks Pictures August 10th film release “The Help”. This movie was hilarious! 1. One of the film co-stars, Octavia Spencer, plays the character “Minny” and her performance reminds me of the “Dream Girls” Jennifer Hudson/Beyonce acting upstage. Minny makes this movie all by herself, if that were possible. Although Octavia isn’t the top billed actress, she does an outstanding job of bringing a Black woman’s “tude” to light. 2. 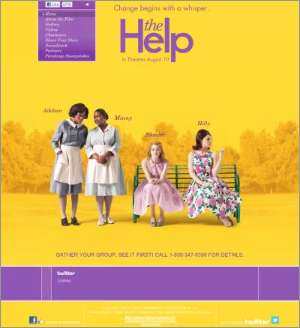 The Help’s subject matter is the kind of stuff that could make Black folks mad once again. However the writing, storyline and acting does a great job of making what could otherwise be weighty, lighthearted, and does so without sacrificing the import of what Black women endured while working in a racist rural South. 3. The Help is a bit long but doesn’t have one dull moment. This is a clean movie that the entire family should see and prepare to have engaging conversation about racism, sexism and our nation’s history. 4. Amidst the context of southern gentility riddled with racism and sexism, the feminine frailties prove strong enough to muddle through life as is, with alliances, allegiances and synergy where the story of The Help is ultimately told. Cat fights are kitten fights in this film where all symbolic fingernails are in tact by the final scene and curtsey. I hope The Help does well at the box office. For more information, here’s the website: www.thehelpmovie.com.